is a major industry educational event. All net proceeds fund scholarships for students pursuing industry careers. Over 1,400 students have received scholarships. 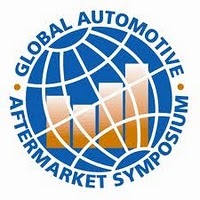 Started in 1996, the Global Automotive Aftermarket Symposium has quickly established itself as the leading educational event in the automotive aftermarket. This annual two-day event gathers industry leaders to hear strategic presentations about the future of the aftermarket. All of the net proceeds of the Global Automotive Aftermarket Symposium are used to fund scholarships for students pursuing careers in the automotive aftermarket. Since the program began, more than 1,500 scholarships have been awarded. Students who receive a scholarship and begin a career as an automotive aftermarket technician are eligible for a matching grant upon graduation from their program and after completing six months of employment in the automotive aftermarket. * Qualified applicants must either be a graduating high school senior or have graduated from high school. * To receive a GAAS scholarship, applicants must be enrolled in a college-level program or an ASE/NATEF certified post secondary automotive technical program. NATEF is the National Automotive Technicians Education Foundation. NATEF sets standards for automotive education program, and ASE – the National Institute for Automotive Service Excellence, certifies schools, which meet these standards. See Official Website . for a list of certified programs. * Students enrolled in automotive oriented continuing education may also apply. * Participants must attend a full-time program in the United States or Canada. * Staff members of Global Automotive Aftermarket Symposium sponsoring associations, their family members, and former GAAS Scholarship recipients are not eligible. * While anyone may apply, priority is given to students who plan a career in the automotive aftermarket, or who are sons and daughters of families who are in the automotive aftermarket. * Students must completely fill out the GAAS application. All school transcripts including high school and post-secondary (if applicable) must be submitted with the application. * At least one letter of recommendation from a non-family member must be submitted with the application. * A 250-word essay on why the student believes they deserve to be a scholarship recipient must be submitted with the application. * Applications are made on line. See the Application section of this site. Transcripts, reference letters and other documents may be scanned and attached to the on line application or sent to Emily McConnell at MEMA by mail, fax, or e-mail at the addresses on the application form. * Canadian applicants, please review application procedures at: Official Website . Demikian kami sampaikan tentang Global Automotive Aftermarket Symposium (GAAS) Scholarships, USA semoga informasi tentang Global Automotive Aftermarket Symposium (GAAS) Scholarships, USA ini bermanfaat.